After long 3 years of trying to make myself write my diploma work in Computer Sciences i finally did it! From now on you can call me Master or Master of Disaster! 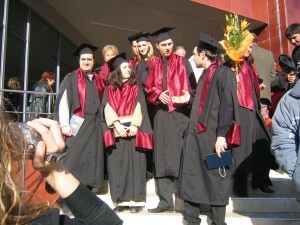 Some memories from the ceremony from my bachleor’s degree… next ceremony to be on December 6th, 2009. Yay! wooohooo that was 20 years of studying… and now i’m done with it!